Andrea Miller is the President of the National Institute for Reproductive Health (NIRH) and its Action Fund, which build power at the state and local level to change public policy, galvanize public support, and normalize women’s decisions about abortion and contraception. A nationally recognized expert in reproductive rights and women’s health, Andrea has served for more than two decades in the leadership of and as a consultant to a host of non-profit, advocacy, and philanthropic organizations. Since becoming President of NIRH in 2011, Andrea has spearheaded the growth of the organization’s state and local strategies portfolio, which annually provides advocates in at least 20 states and more than a dozen localities with strategic guidance, hands-on support, and funding to create national change from the ground up. By forming strategic partnerships with a wide range of organizations to directly impact the reproductive health and lives of women across the country, in the last decade, NIRH has had the opportunity to engage with more than 150 reproductive health, rights, and justice organizations in 39 states and 56 localities nationwide. NIRH’s communications and messaging initiatives have also expanded under Andrea’s leadership. 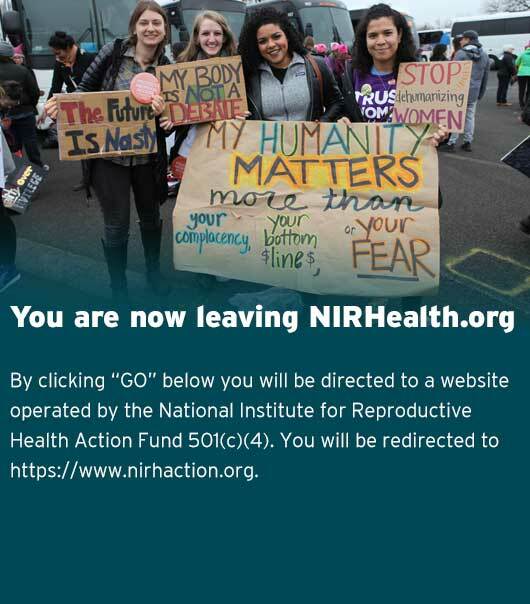 NIRH conducts ground-breaking public opinion research that has provided a new framework for talking affirmatively about abortion and mobilizing voters to take action in support of a proactive agenda. Finally, Andrea has also overseen the growth of the organization’s political and advocacy work, building from its historic focus on New York State to establish the NIRH Action Fund, which does non-partisan issue advocacy and electoral engagement to advance reproductive health, rights, and justice in states and cities across the country. Just as NIRH invests in localities and states, the NIRH Action Fund is interested in building political power at the local and state level to advance reproductive freedom. Andrea previously served for nearly four years as Executive Director at NARAL Pro-Choice Massachusetts, where she was instrumental in securing no copay for contraception under state health reform (a critical proof point for adoption of this policy nationwide through the Affordable Care Act) and helped reduce barriers to affordable abortion care for low-income women. Prior to that, Andrea was a principal and co-owner for nearly a decade at Public Interest Media Group (PIMG), a national communications and public affairs firm whose portfolio included the Back Up Your Birth Control campaign and serving as the communications hub for securing over-the-counter Plan B.
Andrea’s leadership in reproductive health and rights stretches back to helping to found the Center for Reproductive Rights. She started her professional career at the ACLU Reproductive Freedom Project. Andrea has a Master of Public Administration from the Kennedy School of Government at Harvard University and a Bachelor of Arts in political science from Columbia College, Columbia University. She is a native of Minnesota. To reach out to Andrea Miller, please contact 646-520-3522.